These note holders are an affordable way to attract customer attention and sell your products. Each of these memo clips is made from one solid piece of heavy duty wire. These desktop displays, note holders are specially designed to withstand daily use. Place this sign stand on a restaurant table to promote menu and drink specials. 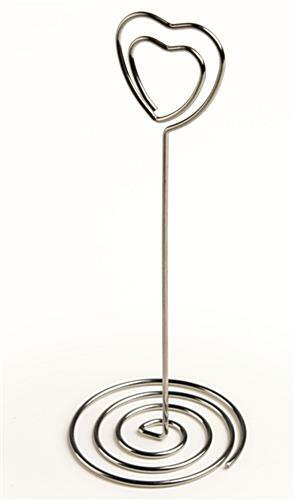 Featuring a polished chrome finish, these note holders are built to last a long time. 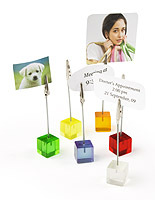 These memo clips are often used at weddings to designate assigned seating. 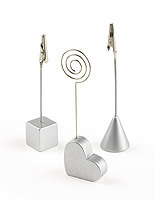 These note holders feature a stylish, heart–shaped coil to easily fit into any location. 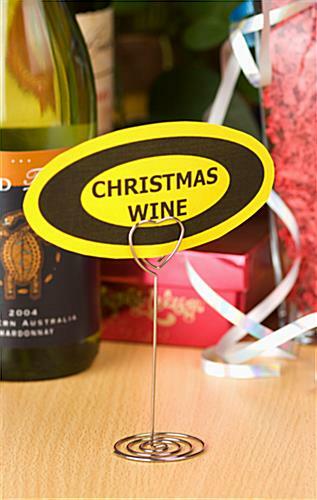 These memo clips, also known as sign displays, are ideal to be use in restaurants, florist shops, offices and retail stores. 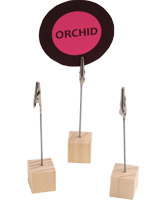 Note holders, like signage stands and message clamps, are great for displaying name cards, reminders and photos. 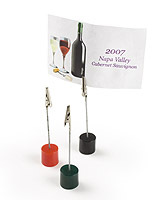 Place these tabletop advertising displays on any countertop or table to attract customer attention. Note holders can also be used as a gift on special occasions like Mother's Day or Valentine's Day. 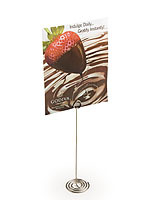 Place a favorite photo or poem in this sign stand and display on a desktop or in a cubicle. We sell these note holders in a box of 50 units. 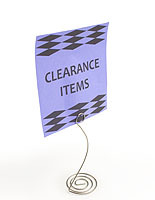 Buy these message displays in mass quantities for greater savings per unit. Transform the way you display your messages or advertisements using these stylish and modernized note holders. These stands provided the perfect solution to our in-store librarian salute. We had the quotes on little cards but no way to display. The heart shapes enhanced the sentiments expressed as we honored librarians during National Library Week. The Friends of the Carpinteria Library Bookstore looks mighty festive with quotes and hearts pooping up on our shelves. Thank you so much for taking the time to share this with us, Susan! We love how you used this place card holders to honor librarians during National Library Week. We hope you'll continue to turn to Displays2go for your store's display needs. 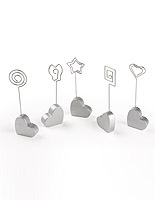 These are perfect place card holders for an upcoming rehearsal dinner and a bargain since they were on sale! That's always great, right? Thanks so much for taking the time to review and shopping with us, Julianne! So Happy With These Place Card Holders! I had been looking for so long for place card holders for my wedding, and couldn't find anything that was affordable and nice looking. I finally found these and they are exactly what I want. Thank you Displays2go!! !